Today we offer our Baby Boomer Women friends an opportunity to meet Lillian Bjorseth, a newer NABBW member who has made a profession of training business people to network effectively. 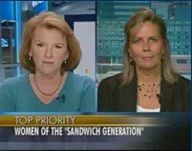 These days, Lillian is putting her expertise to work to help 50+ women, a demographic group who have been long been under-appreciated in the workplace, but are now finding even more challenges due to issues like ageism, and the need to stay current and be relevant. As Lillian puts the finishing touches on plans for her current venture, a day-long conference dubbed “Maximize Your Career – Business Tools for Women over 50” to be held April 17, 2015 at DePaul University, on their Naperville, Illinois campus, we knew it was high time we introduced you to this marketing dynamo with a powerful message for all of us. Especially because it’s not too late to sign up to attend this event, and benefit from her roster of top-notch speakers who are ready to share the ways they are walking their talk, expanding their networks, expanding and nurturing their connections. ​Nurture your confidence, the number one skill for business success. Brand yourself for where you are in your career and what you want to achieve. Acquire executive presence tips applicable to all levels corporately and as an entrepreneur. Develop better corner office business politicking skills. Use social media to your advantage as a woman over 50. Learn to network in the right places. Put your strategy in writing. That’s precisely what Lillian and her wonderful speakers will be sharing with you — a fellow 50+ working woman — in Chicago. Because we all need to know how to benefit from showcasing our wisdom, not our age! Lillian is a woman who has always practiced what she preaches: Well before she developed this event, the Chicago Tribune called her a networking expert, and the Association Forum of Chicagoland dubbed her the business networking authority. In other words, relationship-building. A top graduate of the University of Missouri School of Journalism, Lillian did executive speech writing and public and investor relations for Nicor Gas and coached top AT&T executives in communication and media relations skills before starting her own firm, Duoforce Enterprises, Inc. in 1990. Which means that during her career, Lillian has helped tens of thousands of people build high-value relationships. At Duoforce, Lillian and her staff train people on methods for honing their business development, networking and communication skills. Training which includes learning how to improve your people-reading skills and communicate better verbally, non-verbally and through e-mail. as well as how to polish your professional presence and network strategically. 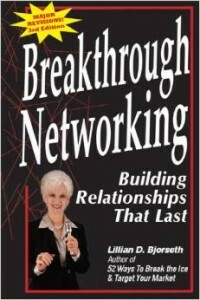 Always willing to share her expertise, Lillian is the author of Breakthrough Networking: Building Relationships That Last, 52 Ways To Break The Ice & Target Your Market, and the Nothing Happens Until We Communicate CD/workbook series. She’s also a contributing author to Masters of Networking, a certified trainer for the DiSC’ assessment tools and a member of the National Speakers Association. In the Fall of 2014, she was featured as a local inspirational leader in the first edition of Chicago’s I Inspire magazine. She was also named to the 2014 Top 100 Women in Ecommerce by WE Magazine for Women. 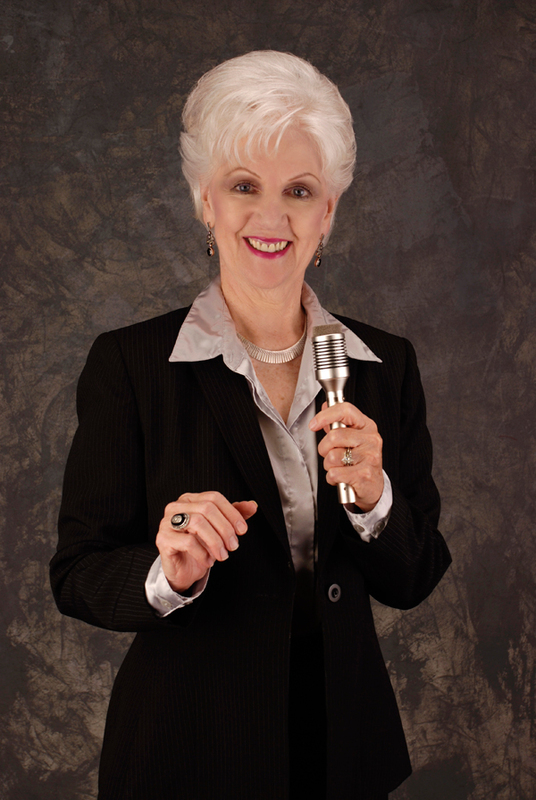 She was honored three times by the National Speakers Association-Illinois Chapter including Member of the Year. She was named Outstanding Chicago Speaker by Red Carpet Concierge. Lillian, a member of Engaging Speakers, was named one of their Great Woman of the 21st Century and an Influential Woman in Business. And last but not least, in 2013 she was honored as a Distinguished Alum of her Missouri high school. Using one paragraph, tell us a bit about yourself? I’m an energetic, enthusiastic, inspirational, well-connected Chicago-area entrepreneur, speaker, coach, author and event producer. Tell us about your family; married, divorced, children, grands, boomerangs or parents living with you, etc. I’m married and have two sons and three grandsons. What is your favorite childhood memory that is reminiscent of growing up in the 50s, 60s or 70s? I grew up on the outskirts of a town of 83 people in rural Missouri. In fact, the road ended at our house. There were no children within miles of me. I’m the youngest of four sisters all of whom were gone from home for most of my childhood. Being the gregarious person I am, I was delighted any time we had guests so I had someone to talk with … or listen to. My dad spent a lot of time in the fields, and Mom in the kitchen and garden so “company” was special! What qualities do you have that speak of our generation of women? Getting up each morning to a new day and new opportunities. I love spontaneity and that I am never sure what the day might bring (other than what is planned) and how one call or email can lead to another and another. I believe all of us are always selling … and I love selling! What brings you the most pleasure in midlife? Having so much time for myself, a wonderful husband to share life with and the good health to keep on trucking with my job and personally. Do you have any interesting hobbies? Love doing crossword puzzles, plus I understand they stimulate the mind! Do you travel and if so, who are your favorite travel partners and where do you like to go? Yes, my husband and I travel. Our latest adventure was a 12-day cruise in the Baltic and North seas where we took excursions to Brussels, Amsterdam, Berlin, Helsinki, St. Petersburg, Estonia, Gdansk and Copenhagen … plus we spent a day traveling through the Kiel Canal. What a real-life history lesson! My husband prepared a thorough annotated photo album so we will enjoy the trip for years to come. We’ve also done a Mediterranean cruise that was great! Do you practice preventive medicine? Please elaborate. I exercise, eat healthy and get plenty of sleep. Two years ago I had a bilateral hip replacement and set a record for recovery in rehab … so I am sticking to my routine. What do you stress about? Is it important for you to retain your youthful looks, and if so, to what degree are you willing to go? Since people decide 10 things about us within 10 seconds of seeing us, it is imperative to make a good impression professionally and personally. That decision is based on our image, a combination of our appearance and behavior. Part of the appearance quotient is our dress, which usually covers about 90 percent of our body (especially at our age! ), with the rest being our face, skin and hair. It’s important to use skin care products geared for your skin and age as well as makeup that highlight your features and is also appropriate for your age. Hair style is another key ingredient. If you haven’t changed your hair style in 20 years, chances are it makes you look dated. When you look dated, people often get the perception that your skills are dated, which can be detrimental in the work place. That’s why I created and am producing the Chicago area’s first all-day business conference for Boomer women … and beyond. 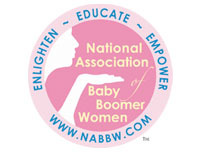 The “Maximize Your Career – Business Tools for Women over 50” conference. It will be held from 8:15 am – 4:00 pm April 17, 2015, at DePaul University, Naperville Campus, 150 W. Warrenville Rd., Naperville Illinois. The day will be jam-packed with insightful presentations and also provide the opportunity to build relationships with other women over 50 who will bolster their support network. Building relationships is one of the central themes that will be discussed by Sarah Donahue, recently retired vice president Allstate Life and Retirement, who will bring first-hand experience to her presentation. I’ll discuss networking in the right places (vs. just networking) on a panel discussion that will also focus on rebranding and reinvention by Susan Fignar, and Pat Price sharing what women over 50 really need to know about social media. Since thoughts are the first step to action, Christine Suva will help attendees master their mindset as she helps them clarify their calling so they can move full speed ahead. Emcee Trisha Svehla will make sure attendees leave on track as she helps them create a realistic action plan from the information they have garnered. Have you re-invented yourself, and if so, how? Do you plan to retire? Are you doing anything to GO Green? How do you make a difference in the lives of others, your community, your world? I like to inspire others by my thoughts and deeds. I walk my talk. Who has had the biggest influence on your life and why? That would be my high school sophomore English teacher who first recognized my oral and written communication skills and encouraged me to dream big. I had no immediate role models as my dad had to quit school in third grade since he was the oldest son of a big farm family. Mom wasn’t allowed to go to high school because she was a girl and none of my sisters were allowed to go to high school since Dad didn’t believe in higher education for women. I got to go because Missouri passed a law that you had to attend school until you were 16. From there it was on the University of Missouri School of Journalism from which I graduated in the top 10 percent. If you were to have a personal mission statement, what would it be? Feel free to be as serious or fun as you choose. To inspire others to build professional and personal relationships through networking and good communication skills … orally and in writing … both of which are challenges to many, many people. And, I have found that advanced degrees do not assure success or great talents in any of these areas. We can all achieve good relationships! !